We present features of the language Troll for the abstract specification of information systems. 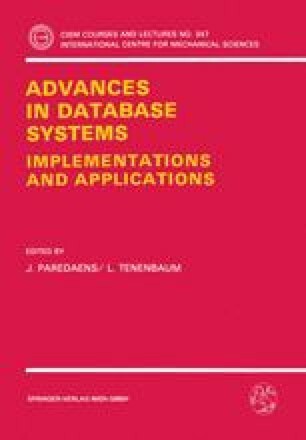 Information systems are regarded to be reactive systems with a large database. Before we present the constructs of Troll, we briefly explain the basic ideas on which the language relies. The Universe of Discourse is regarded to be a collection of interacting objects. An object is modeled as a process with an observable state. The language Troll allows for the integrated description of structure and behavior of objects. We explain the abstraction mechanisms provided by Troll, namely roles, specialization, and aggregation. To support the description of systems composed from objects, the concepts of relationships and interfaces may be used.